ABC may be in trouble. In the aftermath of the Cablevision vs. ABC dispute and hundreds of job cuts in the ABC News division, Walt Disney Co. CEO Bob Iger was asked at a shareholder meeting whether he intended to spin off ABC.”There are no guarantees in terms of what will remain part of our company and what will not,” he said, Reuters reports. Of course, this isn’t the first time cutting out ABC, which doesn’t add much value across its other assets. Iger added that he was settled with the mix of assets but the company is looking into options for the future. With new transmission fee negotiations and restructuring in the works, analysts say Disney executives will likely hold out on axing ABC. 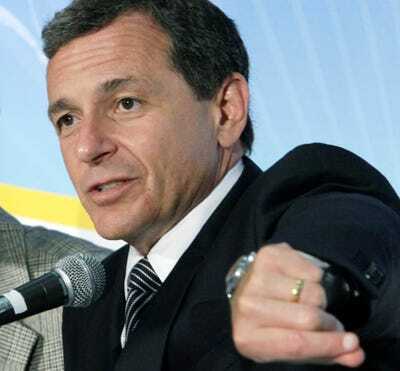 “Iger was just making sure he was not locking himself into a position by saying he’d never sell ABC News. He was keeping all of his options open,” Gould told Reuters.